Obverse: The effigy of the ruling monarch depicted upon the circular base (24mm in diameter), which is superimposed over the crossed swords and encircled with two laurel branches in the form of a wreath, the swords being positioned over the wreath. Reverse: Upon circular background, decorated with laurel branches, a Germanic heraldic shield bearing the crowned Bulgarian lion rampant. On either side of the shield is inscribed the motto of the order – „ЗА ЗАСЛУГА“ (translation: For merit). Similarly to the obverse, the two crossed swords are depicted behind the central medallion and the laurel wreath – in a circle around the medallion but this time over the swords. 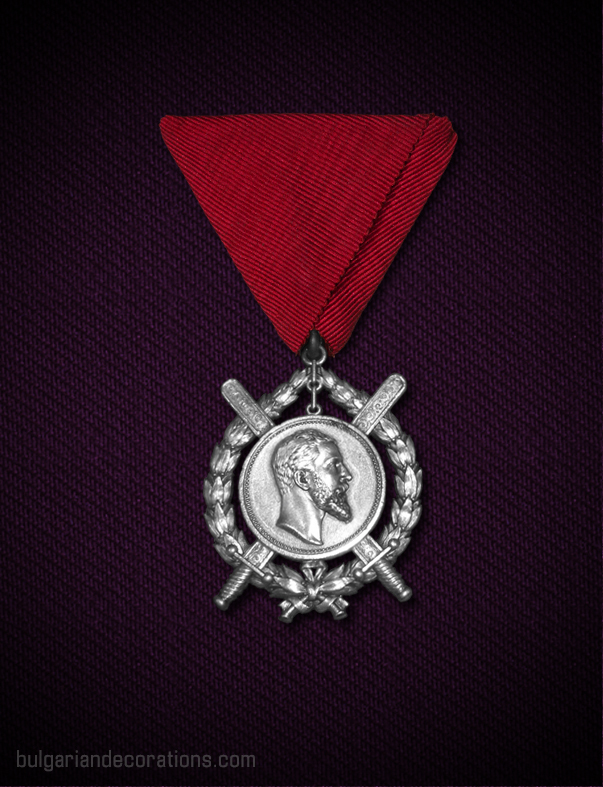 The Order of Merit has been instituted along with the Royal Order “Saint Alexander” and for about two years it has existed as a medal, associated with the above order. 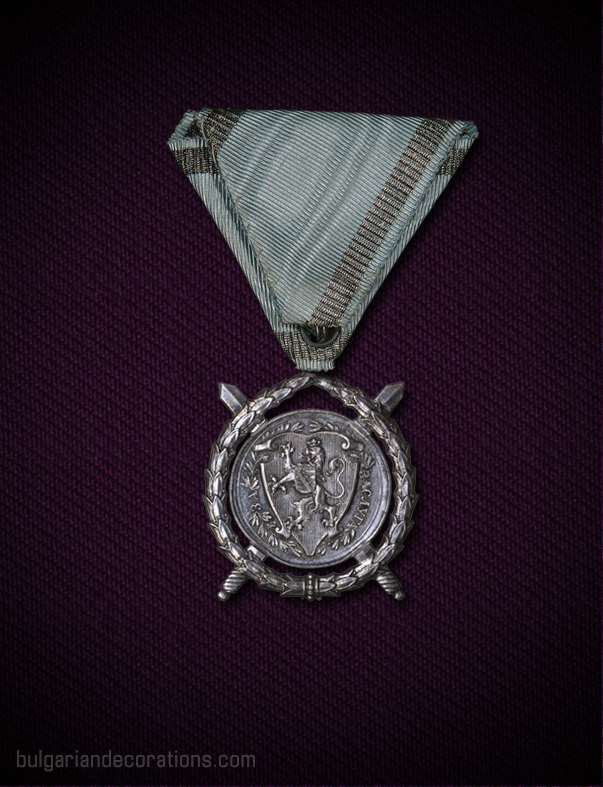 It has been used to decorate military men instead of the silver Medal of merit. 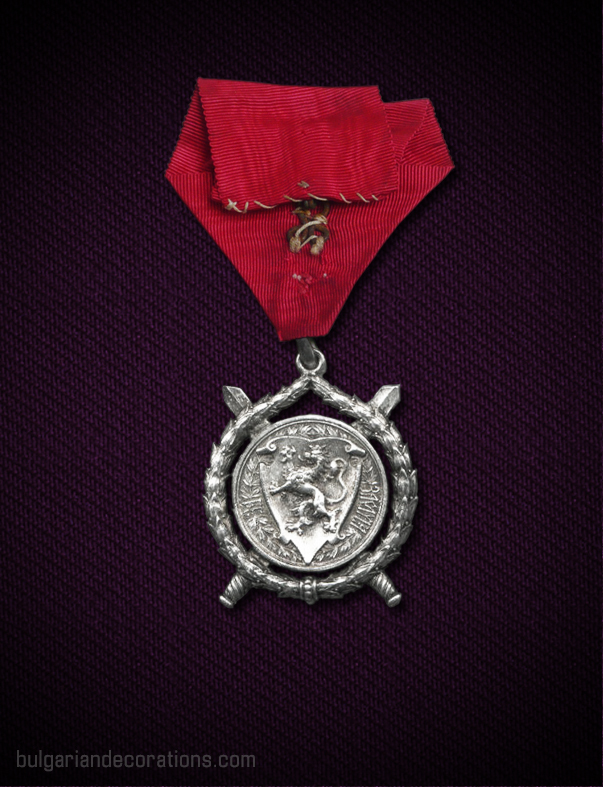 In 1883, the decoration has officially been converted to an order, associated with the more senior Order of St Alexander. There was one single class during this period, and it was referred to as the Order of Merit. 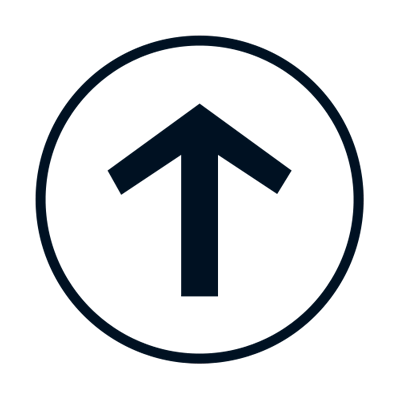 Ever since its institution, the order has been a military decoration. 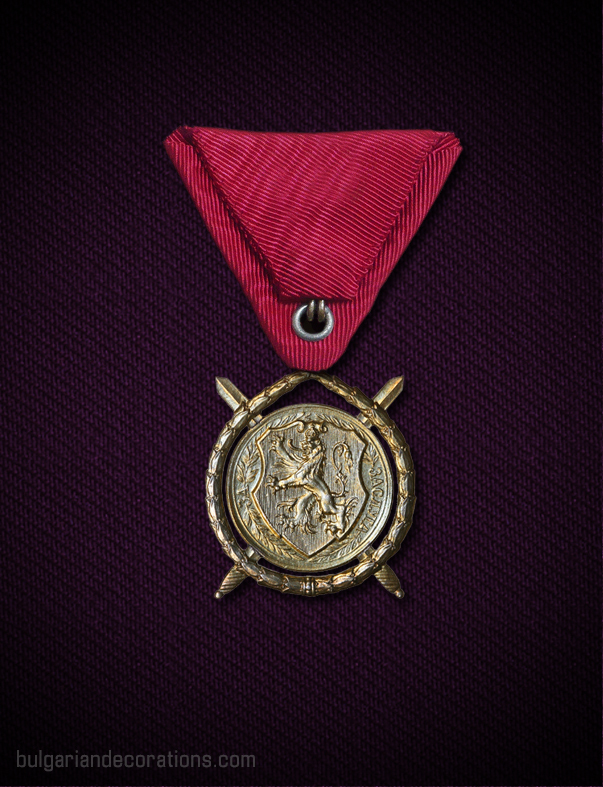 Theoretically though, after the introduction of the 1st class of the order, the so called golden badge, the decoration could also be bestowed upon non-army personnel – senior civil servants, cabinet ministers and alike. The total number of classes was two – I and II class, or also called golden and silver badge. 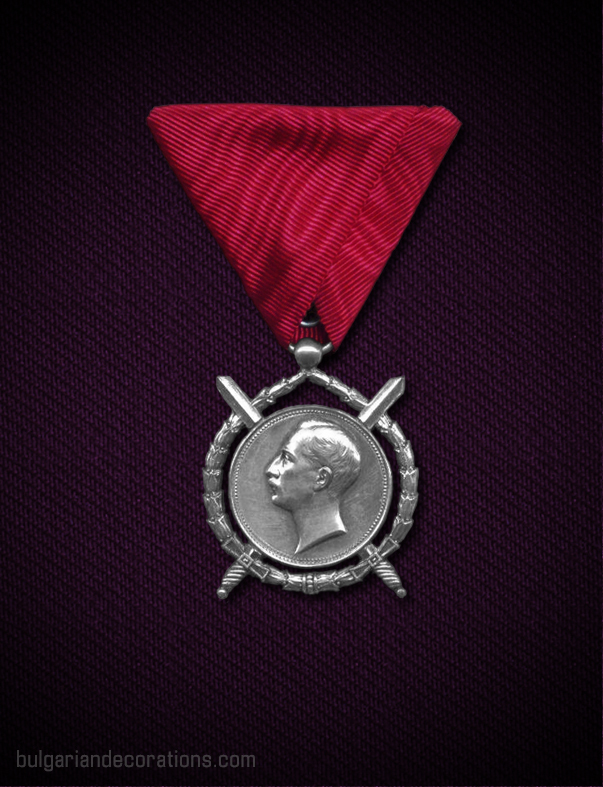 Due to the very limited numbers of first classes ever awarded though, often the class of the badge is omitted, thus referring to the silver badge as the only class of the order. 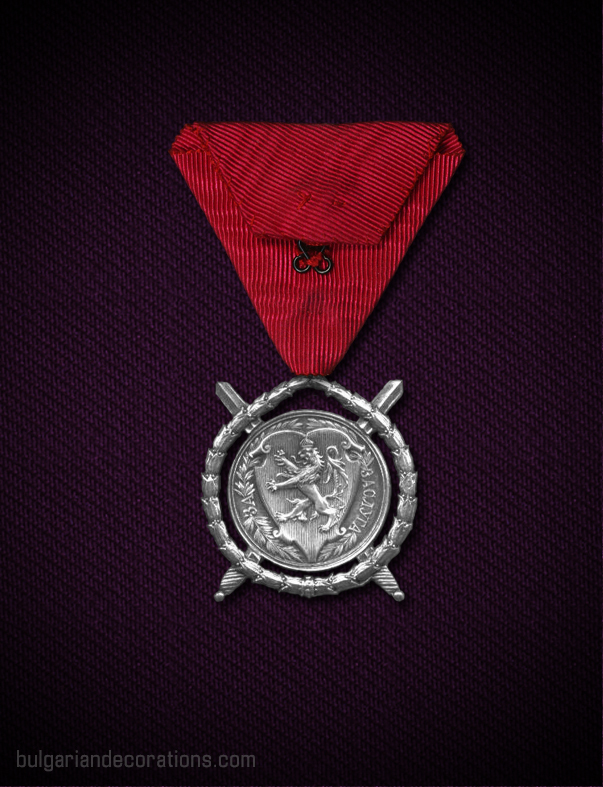 The badges of the order were made of solid silver and in some cases of silvered bronze or white metal alloy. 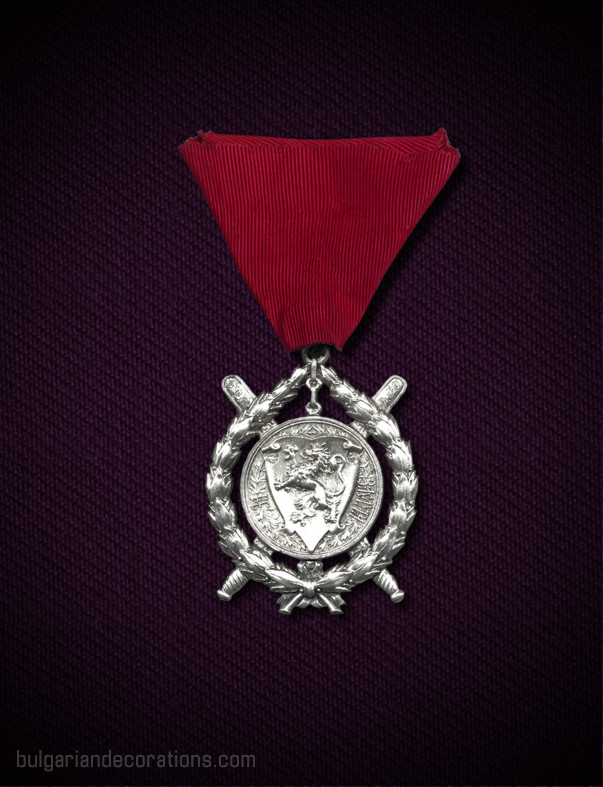 The first class badge was of gilded silver. 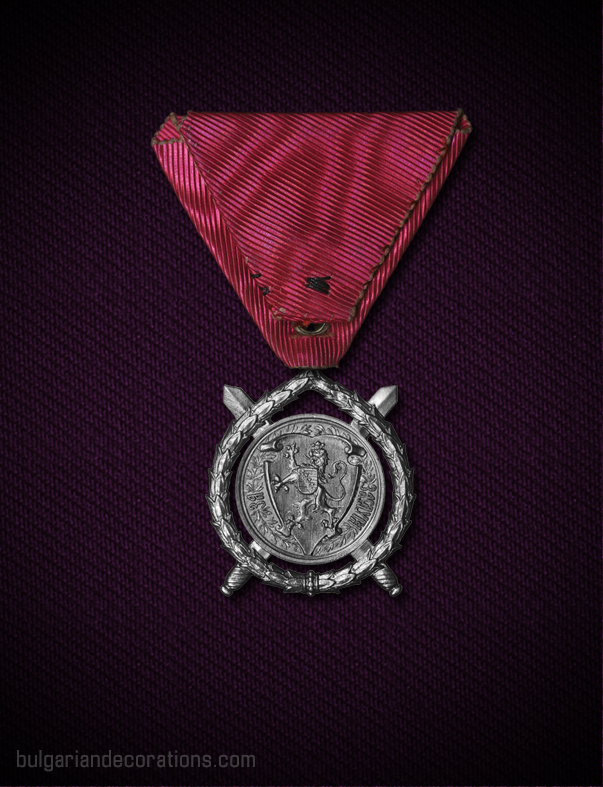 Depending on the type of merit, an officer was eligible to be decorated twice with the same grade of the order – once for his military merits in peacetime (suspended from a crimson ribbon) and once for this merits in the time of war (suspended from the so called war ribbon). 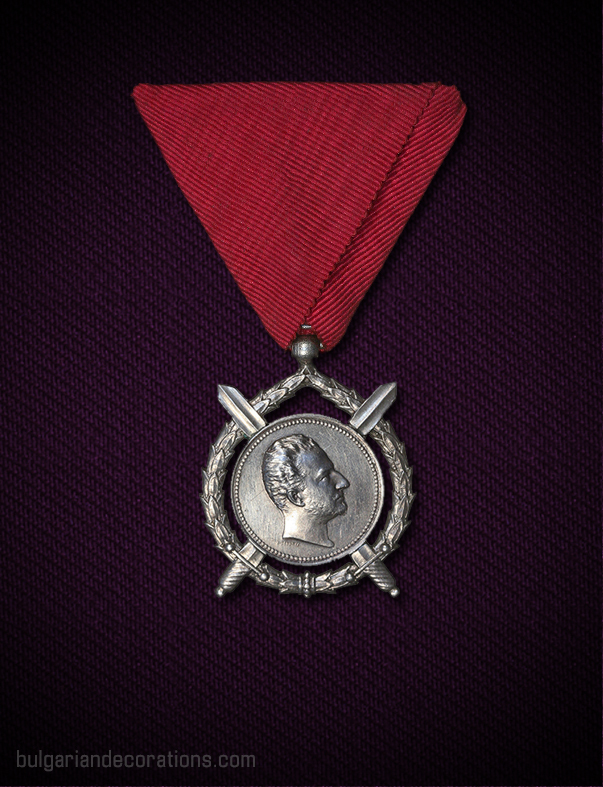 Both badges were to be worn alongside each other, the latter ranking higher in the system of decorations. 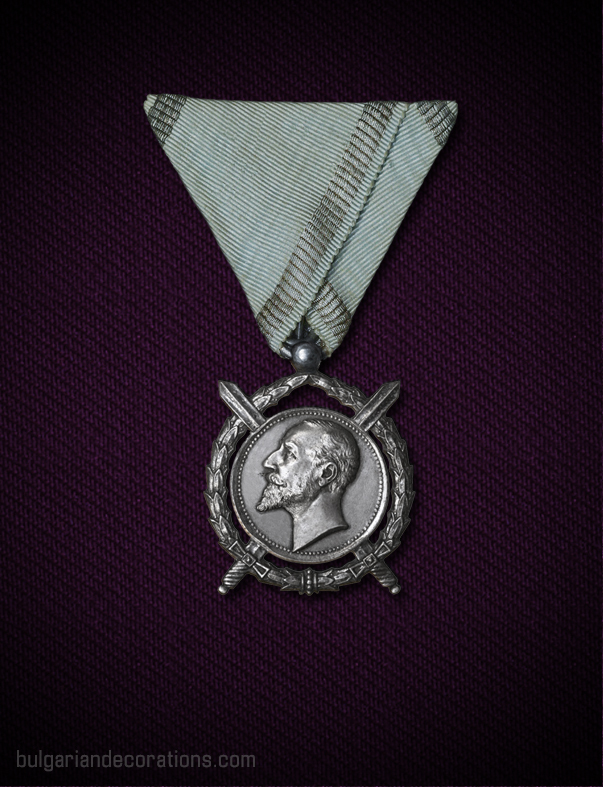 The order was being worn suspended from a triangular (pentagonal or threaded-through in earlier examples) ribbon – either the sky-blue or crimson variants. 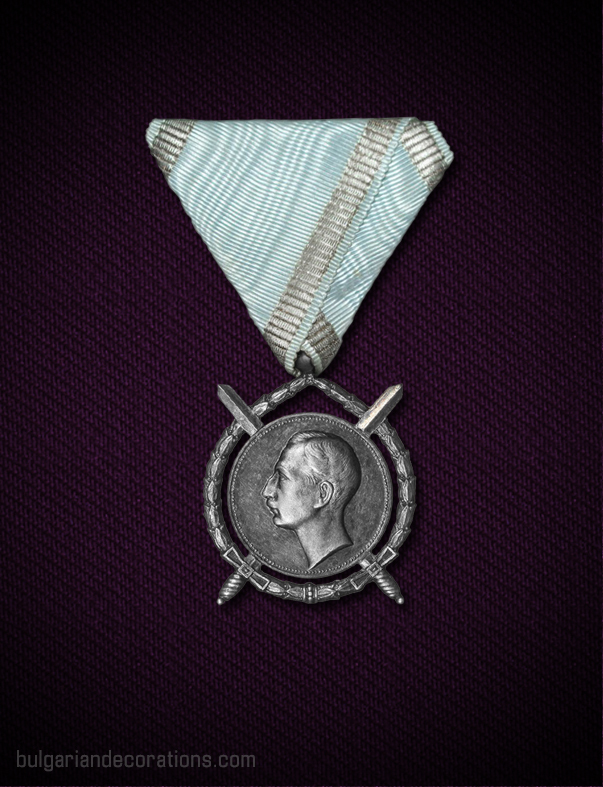 The first issue of the order (medal back then), was the so-called issue with chain. On the obverse was depicted the effigy of the Prince (facing to the right). The top of the circular medallion has been conjoined with the suspension loop via a chain of four sections – something unique for this particular type. Also, another specific feature of this issue is that the swords are depicted with elaborately decorated scabbards. Issue number two replicated the previous one in terms of general appearance. The only differences are (1) the lack of decorated scabbards and (2) chain, and also the (3) more detailed laurel wreath which, unlike the previous issue, is bound together at the bottom using a decorative beaded cylinder, rather than a ribbon bow. 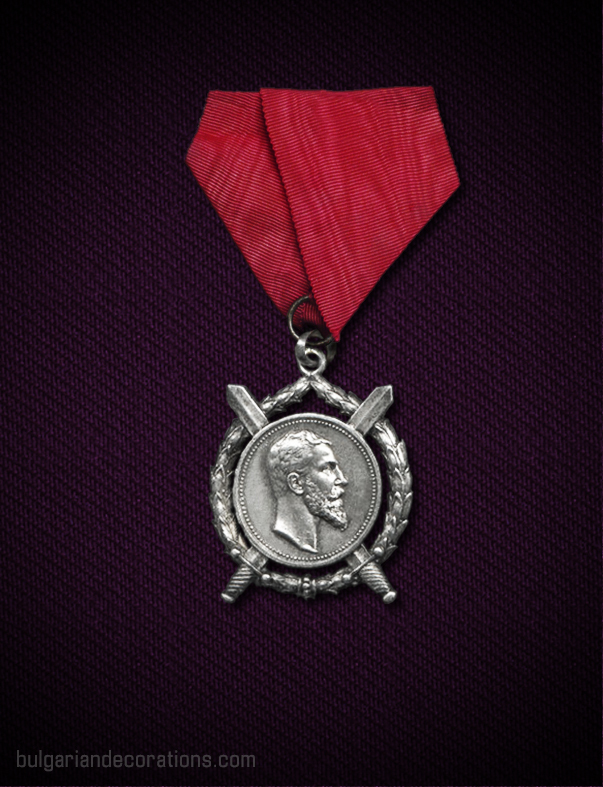 The central medallion remained unchanged. The designer of both issues of the Alexander I period was K. Schwenzer. Type three of the order of Merit is identical to the previous type, with the exception of (1) the effigy of the Monarch, which has now been amended to that of Ferdinand I, (2) the ball-shaped loop on top of the laurel wreath and (3) the introduction of the Saxon escutcheon across the chest of the lion on the reverse of the badge. The designer was Anton Scharff. The fourth issue of the order depicts an updated effigy of the Bulgarian monarch, this time overlooking to the left. Apart from that, the appearance of the badge has replicated the one of type 3. The engraver of the portrait was Paul Telge. With the accession to the throne of the new King – Boris III, the order badge had to be amended once again. It now depicted the effigy of King Boris III overlooking to the left. The only noticeable change, compared to the previous issue was the slightly amended coat or arms on the reverse and also the font of the inscription. The last issue of the order practically replicated the first Boris III type, but the shape of the shield and lion on the reverse have been amended once again, in order to reflect the new official state coat of arms.